In 1988, Thomas Stumpf and his family joined Follen Church (Unitarian-Universalist) in Lexington. Stumpf was soon drawn into the well-established music program then directed by the Rev. Louise Curtis - first as pianist/organist, then as Assistant Director. In 1994, Stumpf became the Director of Music, taking over the adult choir and the administrative duties of the large and thriving program. In 1997 he also took on the leadership of the Youth Choir (while his wife Holly became conductor of the Junior Choir, which grew from 12 to 38 singers during the period of her leadership). The 2015-16 church year was his last as he seeks to make piano performance and composition, as well as his teaching at Tufts University, the centres of his musical work. In the course of his life, Stumpf came to believe with increasing passion and intensity that music is not just a decorative aesthetic element, but a means of deeply exploring and understanding one's soul both in its unique individual identity and as one part of the all-inclusive spirit of the human race. His work at Follen allowed him to explore this belief - and put it into practice, on innumerable Sunday mornings, at weddings and memorial services, even at rehearsal after rehearsal. His choice of music at Follen was always guided by two principles: that it be music of spiritual depth as well as surface beauty; and that its particular depth underscore and enrich the meaning of the theme of the service. 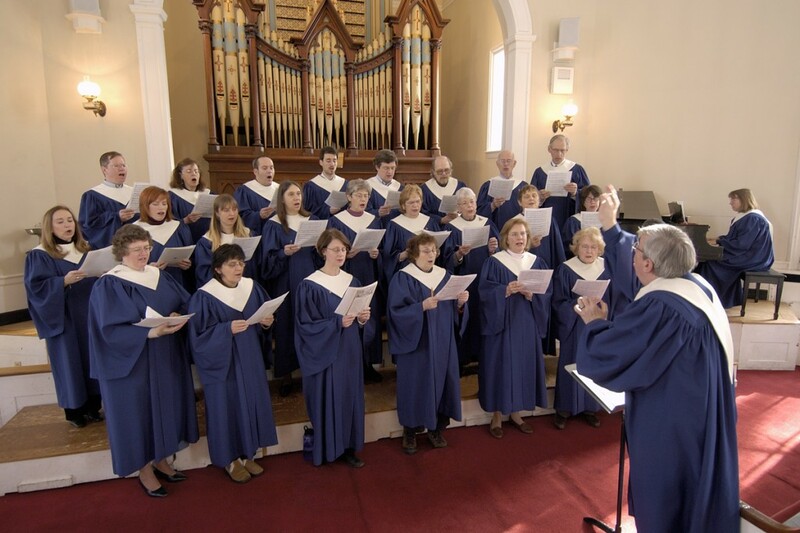 The adult choir of Follen Church consists of approximately 30 (unauditioned) singers, led by four professional soloists (in 2015-2016: soprano Epp Sonin, mezzo-soprano Caitlin Felsman, tenor Jamie Leutz and baritone Benjamin Sears) and accompanied by pianist Shaylor Lindsay. They rehearse with extraordinary enthusiasm and dedication every Tuesday evening and sing most Sunday mornings with extraordinary skill and passion. The repertoire consists of works ranging from Josquin des Prez and Palestrina to Olivier Messiaen and Arvo Pärt, from Heinrich Schütz chorales and Bruckner motets to African-American spirituals and excerpts from Paul Winter's "Missa Gaia." Twice a year - usually on the first Sunday in December and on Palm Sunday - the services are centered around musical works. On these occasions Stumpf conducted the following works with chamber orchestras: Bach's Magnificat and Cantata 178 as well as excerpts from the St. Matthew Passion and the Christmas Oratorio; Händel's "Messiah" and excerpts from "Samson"; Charpentier's Messe de Minuit de Noël; Vivaldi's Gloria; Mozart's Mass in C minor and Requiem; Beethoven's "Christ on the Mount of Olives"; and Respighi's Lauda per la natività del Signore. He has also conducted Dvorak's Mass in D and Fauré's Requiem with organ, Bloch's Sacred Service with piano, Duke Ellington's Sacred Concerts with a jazz combo, and Britten's "Ceremony of Carols" with harp, as well as such a cappella works as Orlando di Lasso's "De Profundis," Brahms' Marienlieder, Poulenc's Quatre motets pour le temps de Noël, and Louise Talma's "A Wreath of Blessings." The Palm Sunday 2013 service featured a performance of Brahms' Requiem in the piano four-hands version prepared by the composer. Stumpf also wrote a number of compositions for his choir: the largest-scale of these was the Christmas cantata "In this night" (2010) for four soloists, SATB choir, and chamber orchestra. A revised and expanded version of this cantata was performed in December 2013. 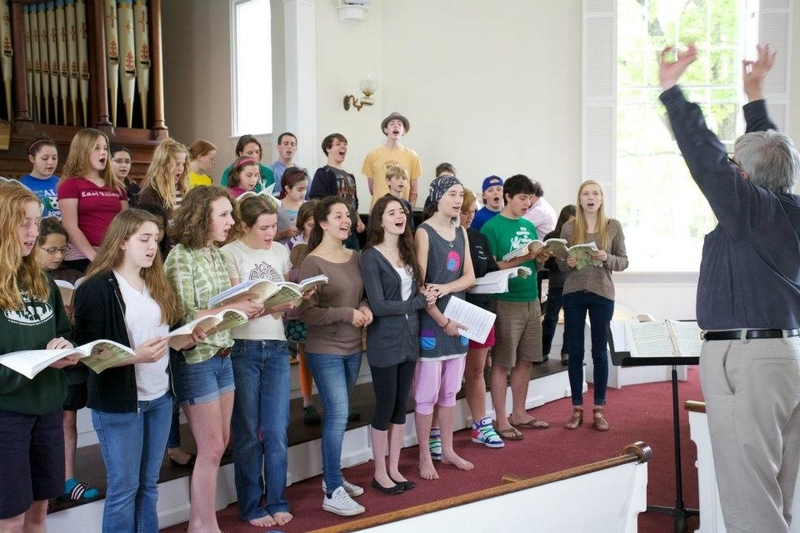 He also encouraged members of his congregation to compose, and the adult choir has sung works by Follenites Emmie Martin, Nancy Wiesner, Carolyn Kingston and above all by tenor soloist Scott Hilse (whose "Mass for Peace" was the centerpiece of the music service in April 2010) and former Youth Choir member Brent Ranalli (two of whose works Stumpf conducted at the Lexington Choral Festival in January 2012). The Follen Youth Choir consists of over 40 (unauditioned) singers who rehearse with unbounded enthusiasm and energy every Monday afternoon and sing one Sunday a month with great beauty and total commitment. Their repertoire ranges from Mozart's "Ave verum" to "Seasons of Love" from Jonathan Larson's "Rent." Since 2008, Stumpf composed a short choral work for the Youth Choir most years. Every June, Stumpf directed a fully staged, double-cast production of a Gilbert and Sullivan opera with the Youth and Junior Choirs. 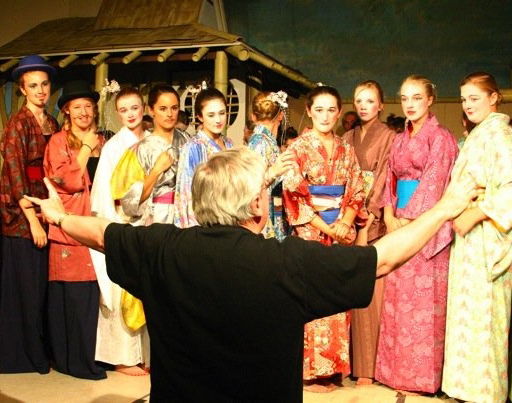 Seven works - "The Mikado," "The Gondoliers," The Pirates of Penzance," "Ruddigore," "Iolanthe," "The Yeomen of the Guard," and "Patience" - were performed in an irregular annual rotation. These productions were one of the great joys of Stumpf's musical life: they were a magnificent celebration of the entire church community; they were also an exceptional opportunity for the kids to experience the thrill of performance, to form close bonds, and to gain hugely in self-confidence and poise - as well as to make great strides in their singing and acting ability. An inter-generational treasure was the Follen Family Orchestra, conducted by Stumpf, which provided an opportunity for all the younger and older instrumentalists from the congregation to perform together, at the annual Christmas Carol sing-along and at occasional services. The Follen Concerts for a Cause series provided Follen's musicians as well as invited guests (which included some of Boston's finest free-lancers) to perform at the church in settings other than services. Stumpf performed regularly in solo piano recitals and as collaborative pianist in chamber music and art-song recitals. He also conducted the adult choir in works by Bach, Dvorak, Bloch and Ellington as well as his own compositions. Stumpf is delighted that, in addition to all the music-making, Follen provided him opportunities as an actor (the first opportunities since his Hong Kong days, when he played Taplow in Rattigan's "The Browning Version" at age 15 and Geoffrey in James Saunders' "A Scent of Flowers" at age 16). As an active member of the Follen Players (directed by Marilu Nowlin) he was Birdboot in Stoppard's "The Real Inspector Hound," Elwood P. Dowd in Mary Chase's "Harvey," the Professor in Ionesco's "The Lesson," and the Narrator in Stravinsky's "L'Histoire du Soldat" (in a collaboration with members of the Lexington Symphony Orchestra under Hisao Watanabe). He considers playing Salieri in Peter Shaffer's "Amadeus" in November 2007 to be one of the great experiences of his life. Stumpf also gave sermons annually at Follen Church, many of which dealt with the intersection of his philosophy of music and his philosophy of life. Eleven of these sermons form the basis for his first book, "A Sounding Mirror: Courage and Music in our Time" (published by Higganum Hill Books in 2005).